Until recently, when I mentioned music and milkshakes in the same sentence, my kids broke into the Village People classic, Milkshake. That all changed when we came across the US-based outfit, Milkshake. 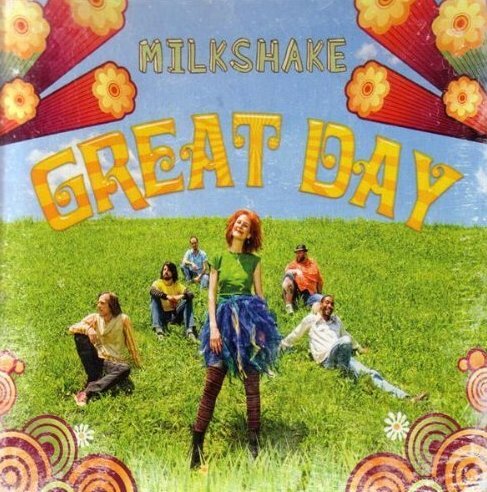 Milkshake was formed by singer Lisa Mathews and guitarist Mikel Gehl, who set about creating music for children that matured with them as they grew – an interesting concept given that many children’s artists churn out the same songs year after year for a fresh batch of three-year-olds. When Milkshake began, Mathews and Gehl each had young children and their first album, Happy Songs, was chock-full of simple, sunny ditties to please preschoolers. Bottle Full of Sunshine and Play! followed and the topics of the songs shifted to reflect their children’s changing interests. The latest album, Great Day, is aimed at six to ten-year-olds and covers themes such as friendship, family and self-esteem. Milkshake is essentially a pop band. Their sound is not as squeaky clean as other children’s pop – some slightly heavier guitar and drums give the songs a good strong beat and a rock edge. Throw in a few Cranberries-style yodelling moments and you have music that is certainly complex enough to appeal to their six years plus age bracket. There are lots of terrific songs on Great Day but I think a couple are truly exceptional. Enemies captures the challenges of friendships perfectly – “My best friend, I think we’ll always be, Such good friends, You mean the world to me, But there times… I think we’re enemies.” Remember that awkward stage in about grade three when friendships had a tenuous quality and one mean word could shake your world? That’s what Enemies is all about – it doesn’t offer answers, it just says it like it is. The title track, Great Day, is a song of epic proportions. Almost like a number from a musical, the song gradually builds with layers of vocal harmony, guitar and drum added to a great crescendo. It’s the kind of song that really lifts the spirits – the lyrics are basic but it has me humming “It’s a great day….” all day, which can’t be a bad thing! All of Milkshake’s albums are available on iTunes for $16.99 each.